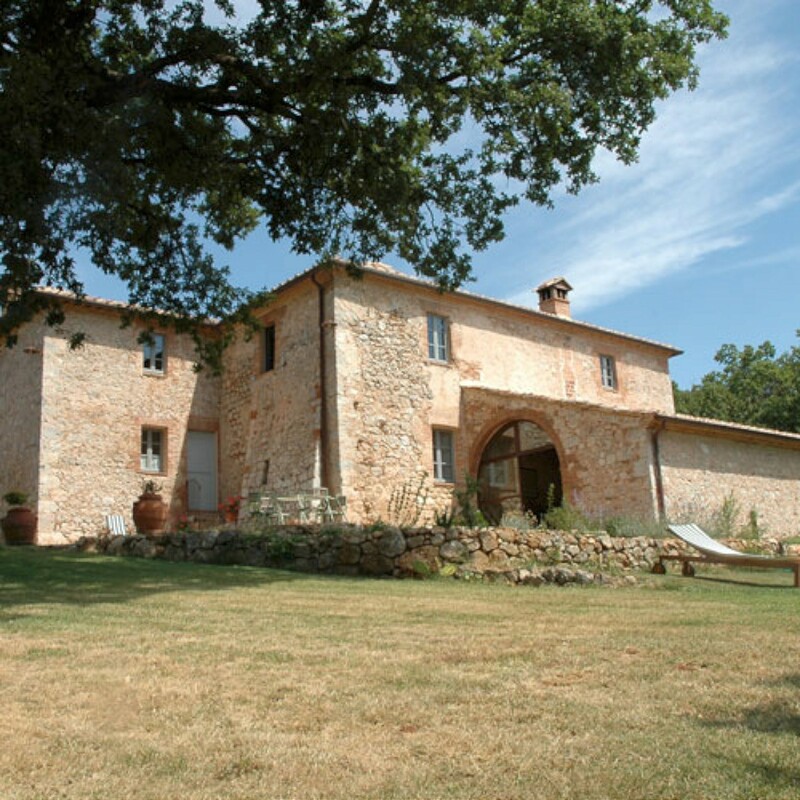 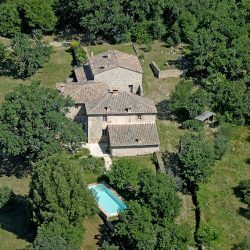 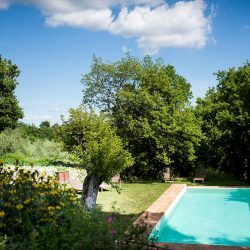 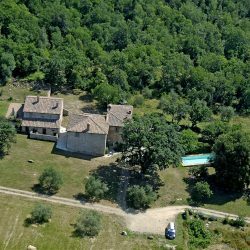 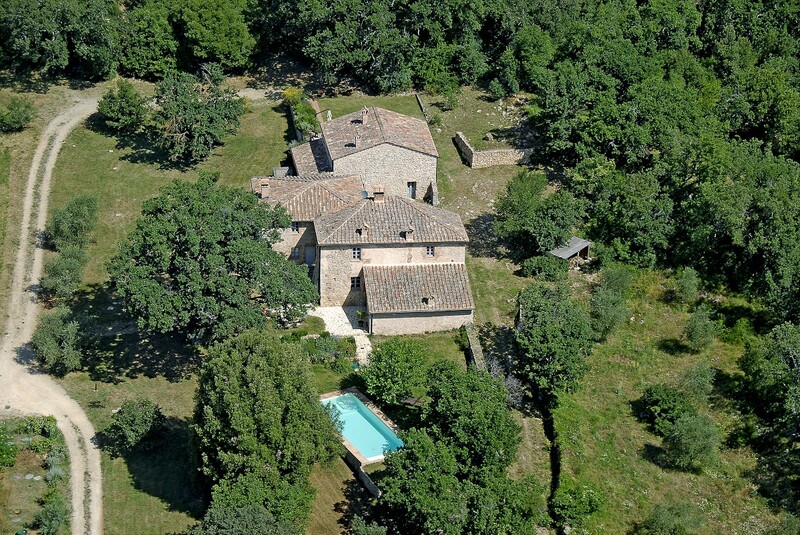 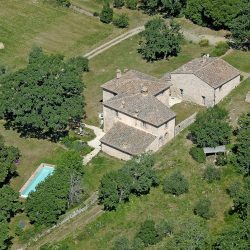 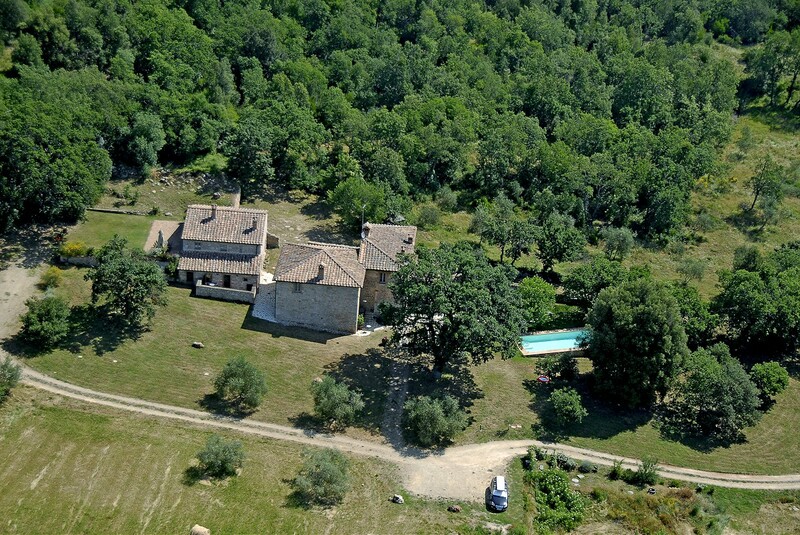 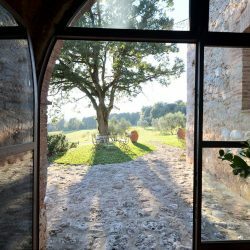 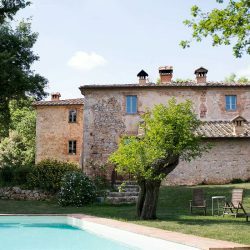 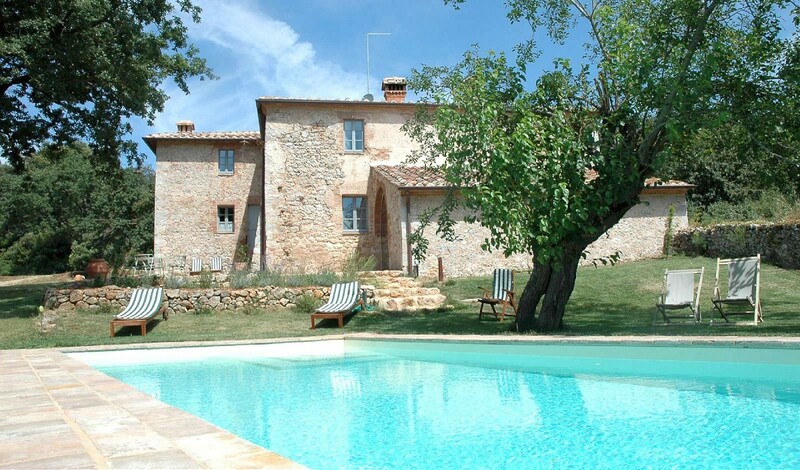 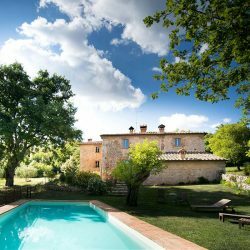 In the countryside 14km from Siena, beautiful restored 11th century villa with independent guest annex, pool and 20 hectares. 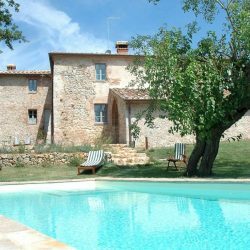 Siena Villa. 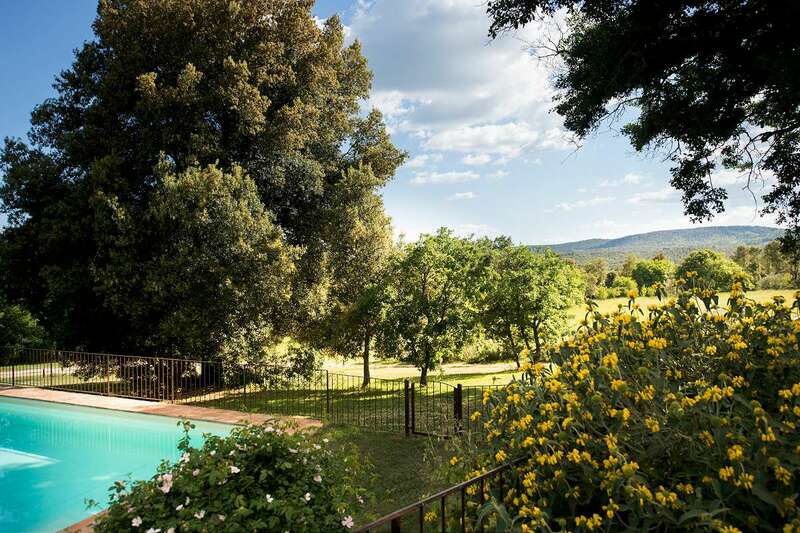 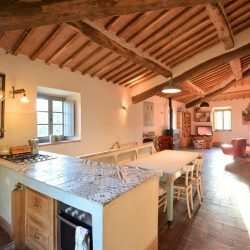 In the Siena countryside, only 14km from the city centre, this beautiful property is surrounded by woods and small picturesque villages. 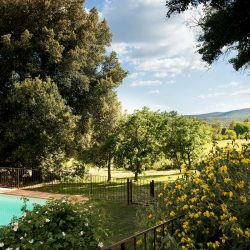 The Chianti region, famed for its stunning landscapes and prestigious wines, is within easy reach. 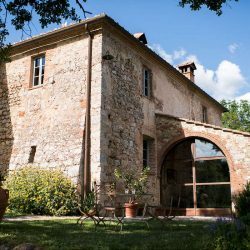 The property comprises an 11th century, restored villa and an independent guest annex, providing a total of 550 sqm of living space. 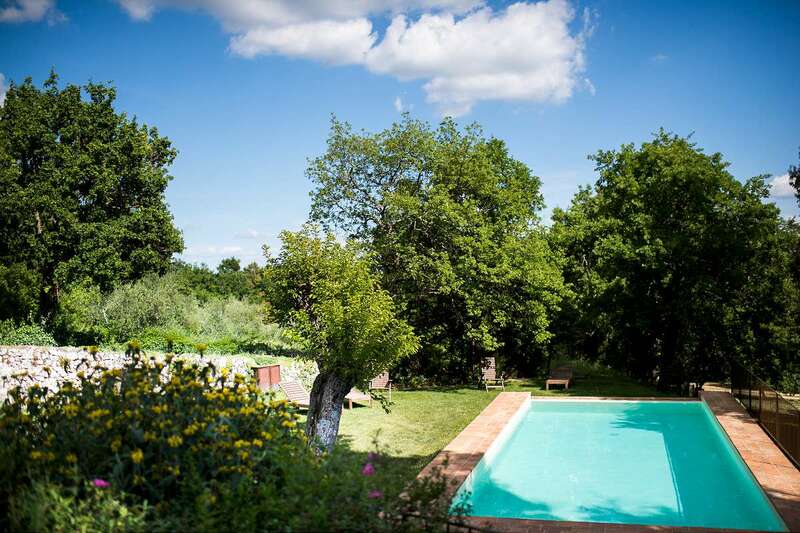 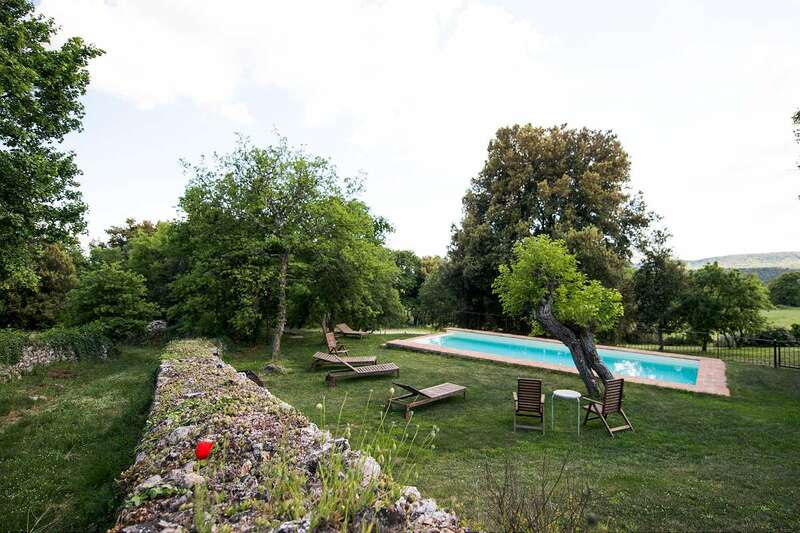 The property also includes 20 hectares of land, with 0.5 hectares being used for a well maintained garden with a BBQ area and swimming pool (12 x 6 m). 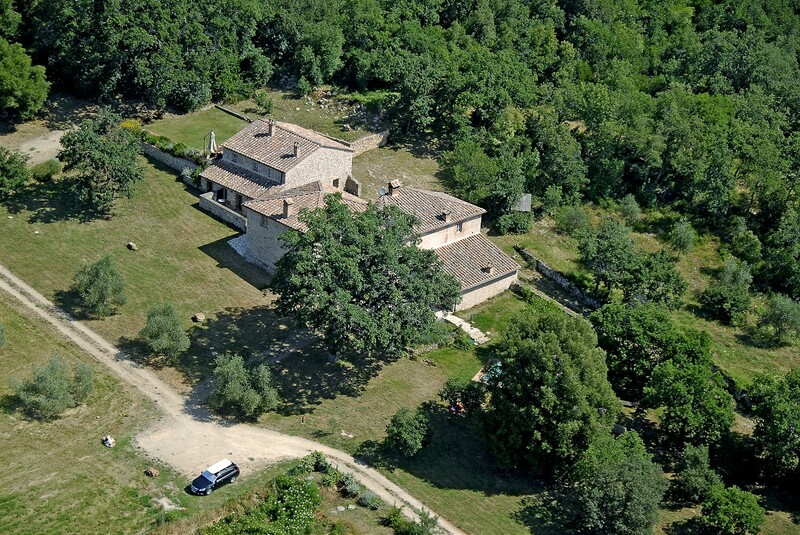 The rest of the land is used for woodland, olive groves, a vegetable garden and an orchard. 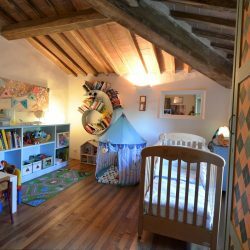 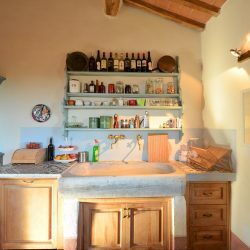 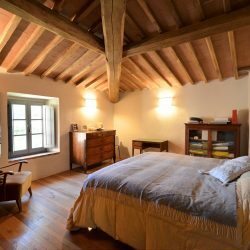 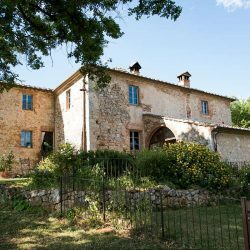 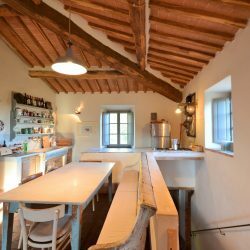 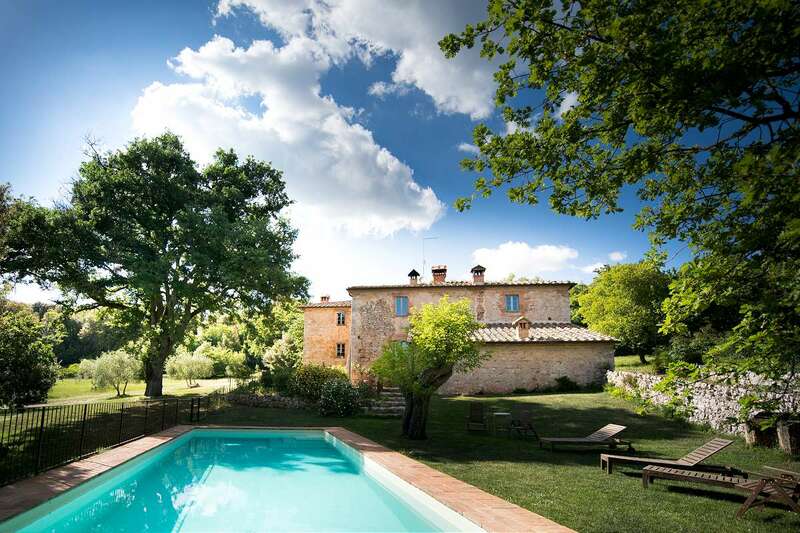 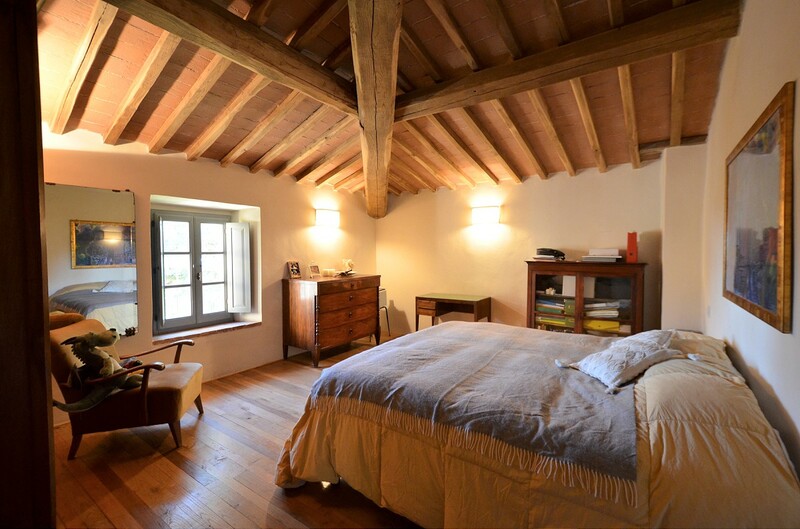 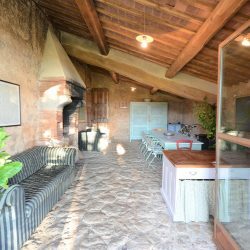 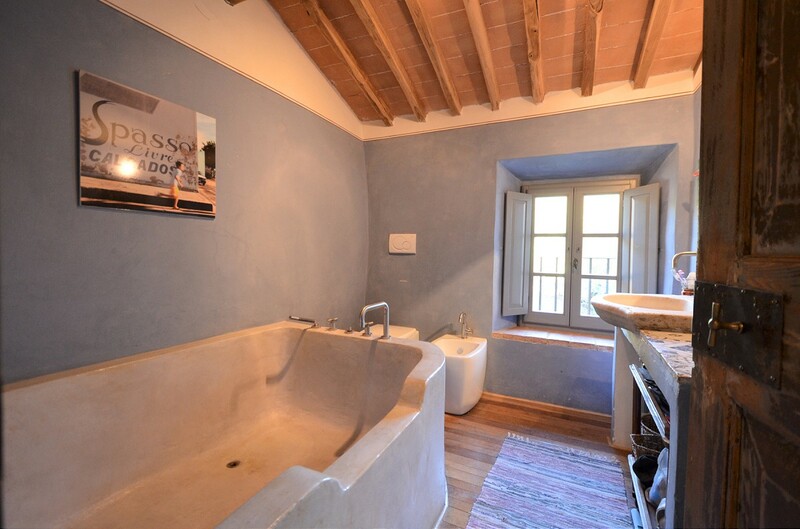 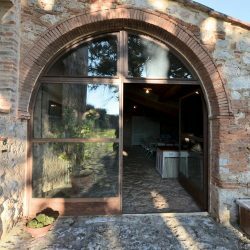 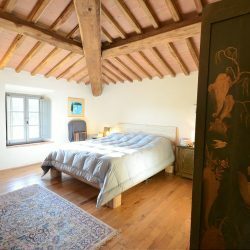 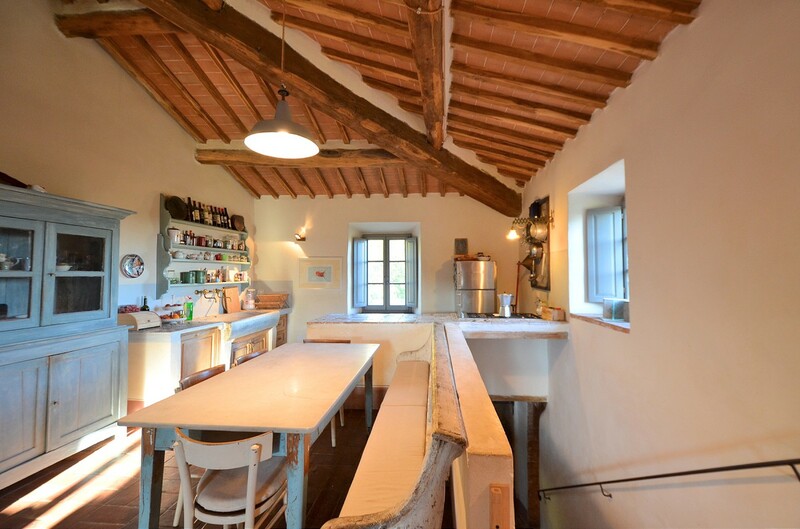 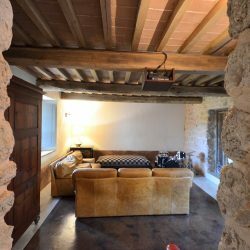 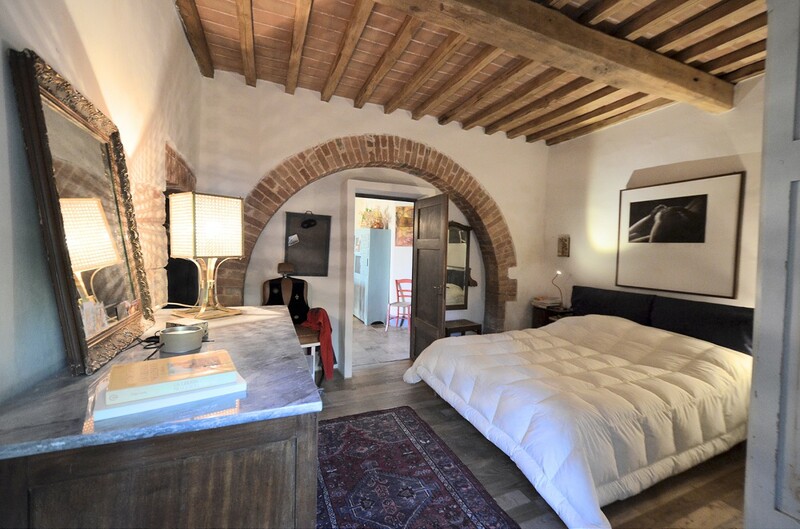 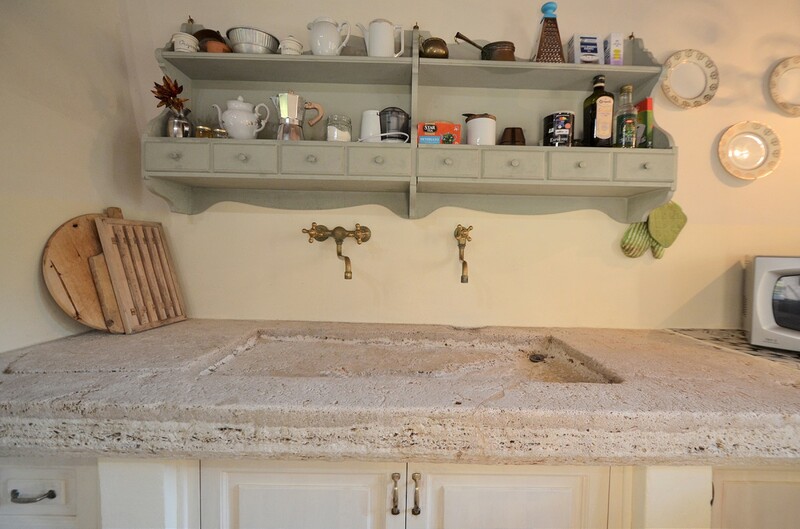 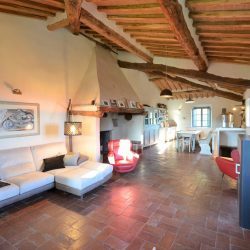 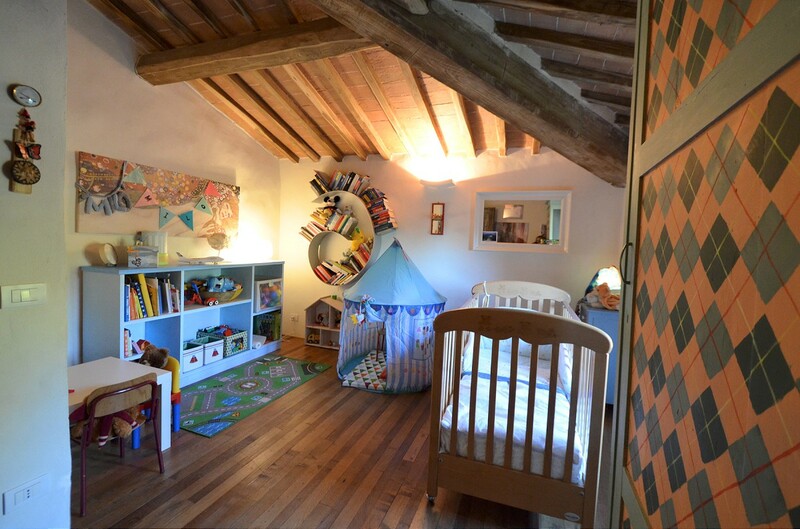 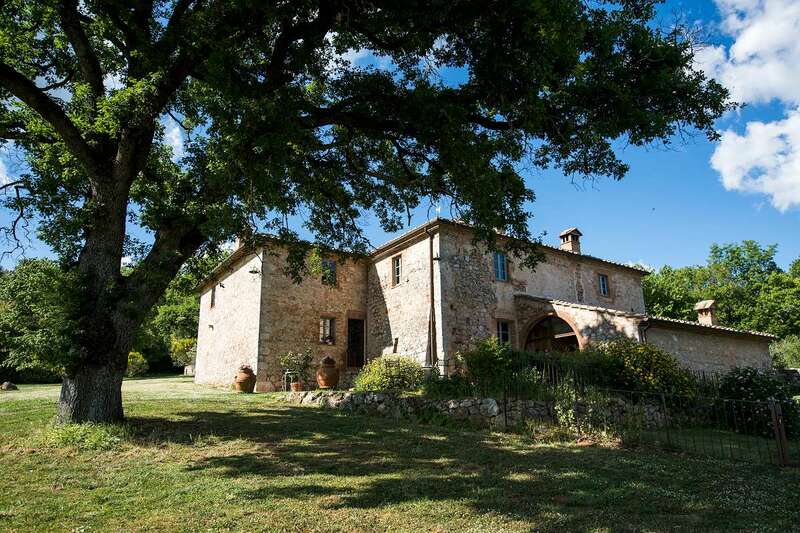 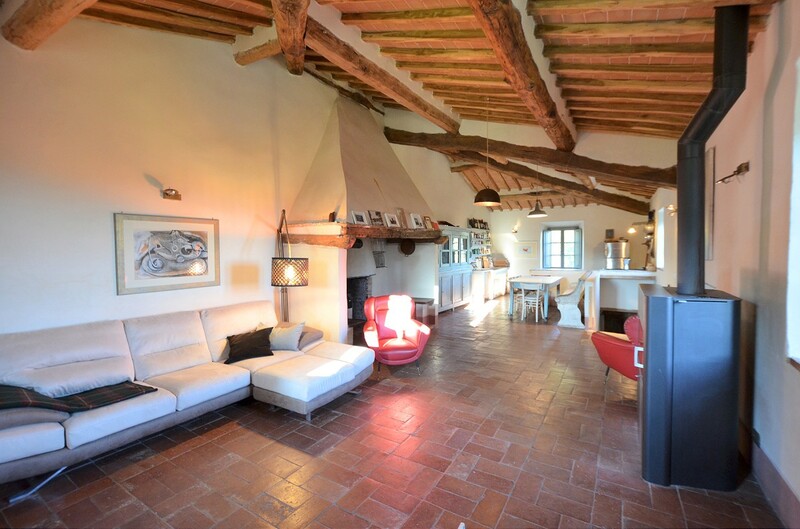 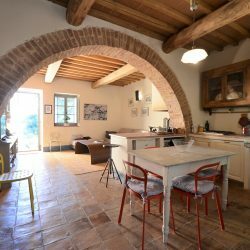 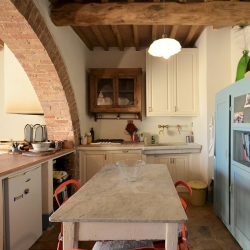 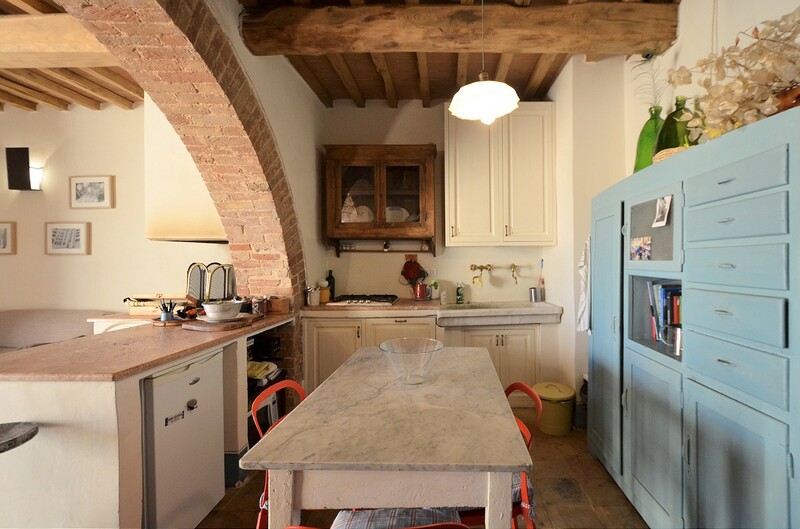 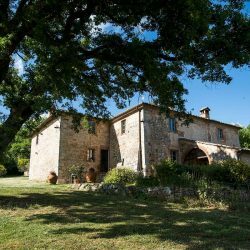 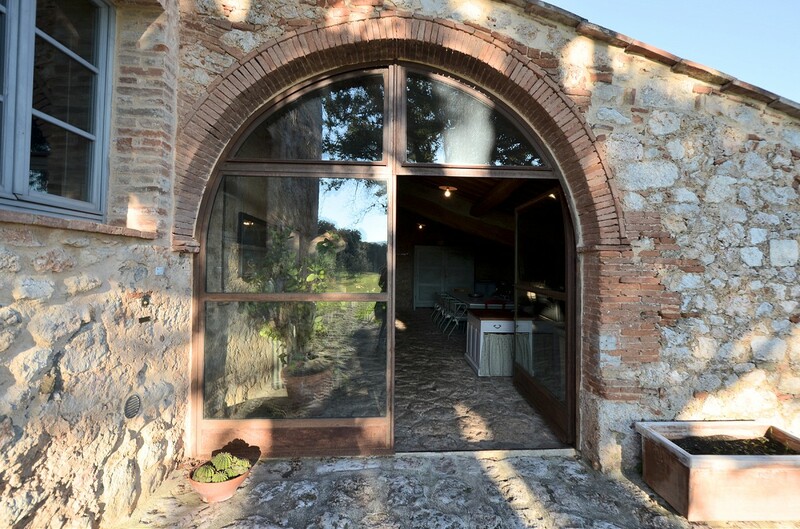 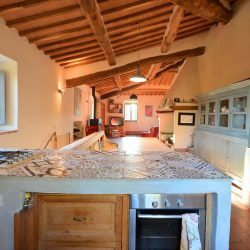 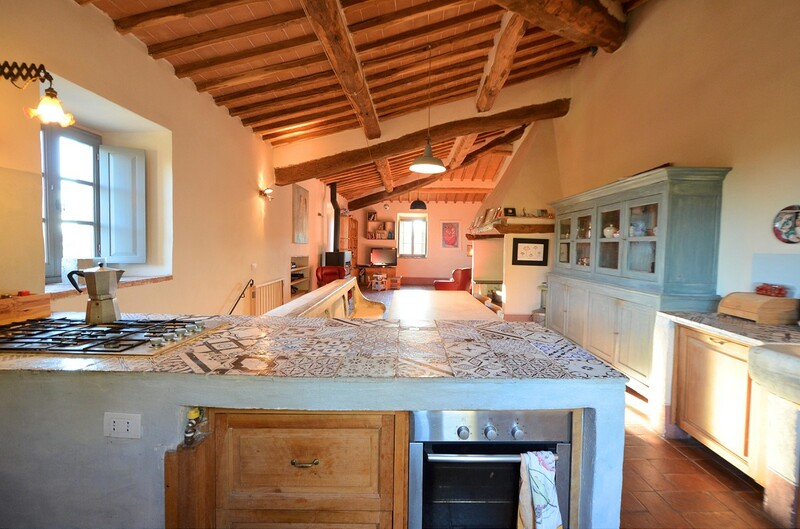 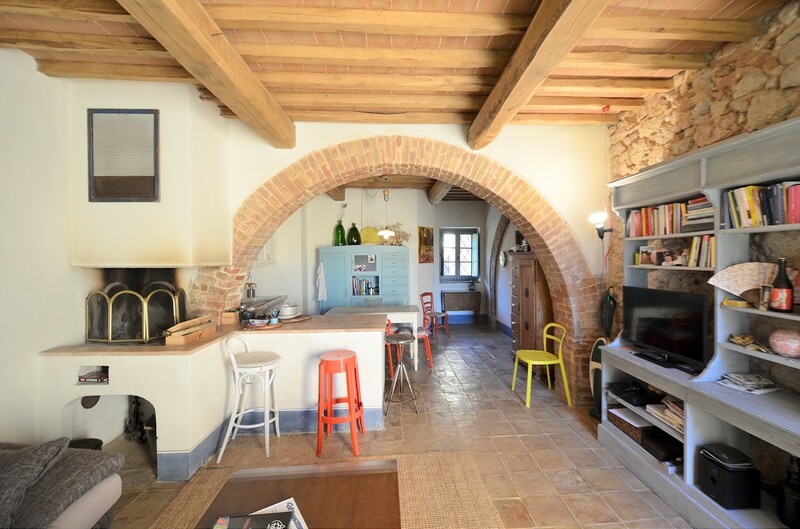 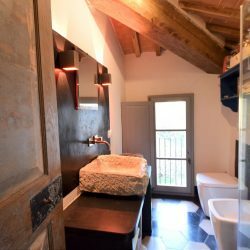 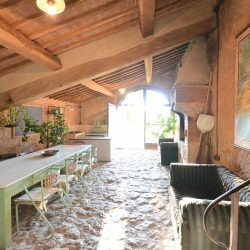 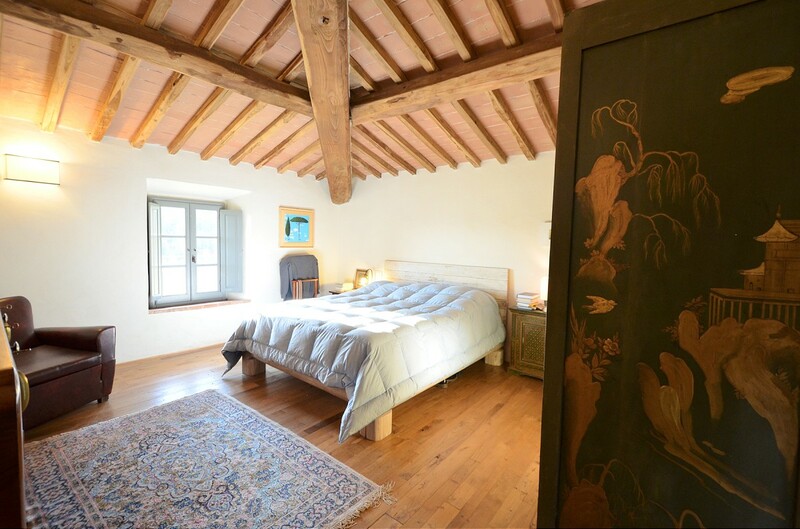 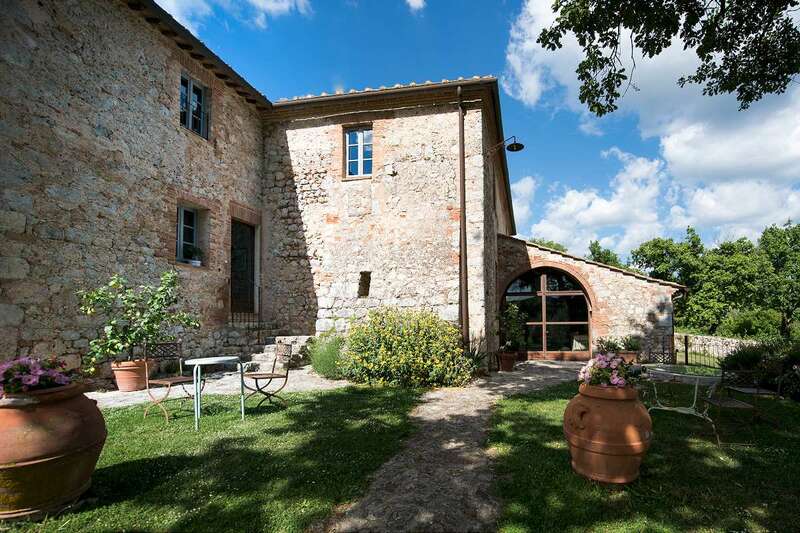 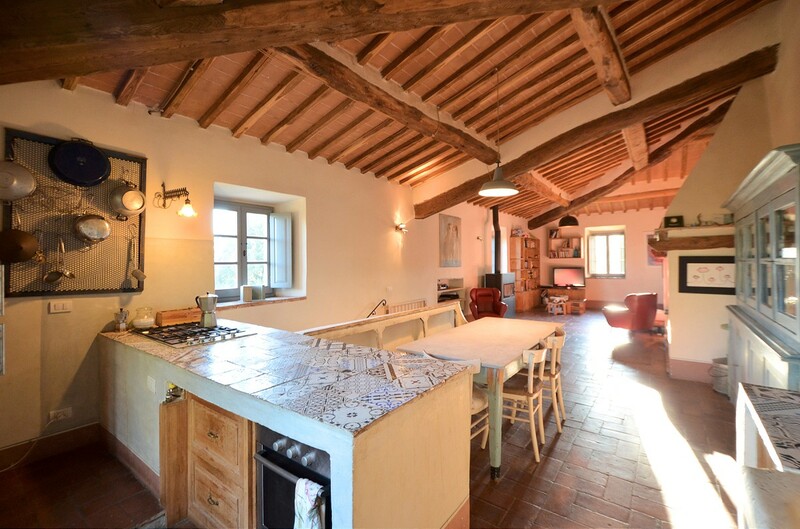 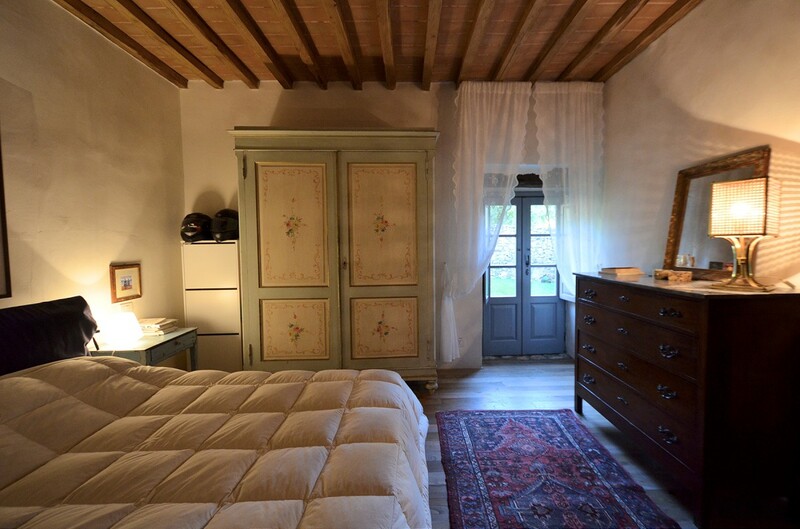 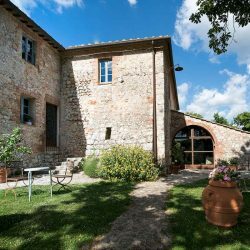 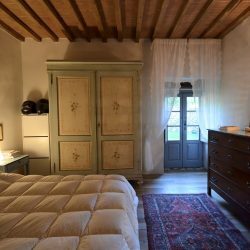 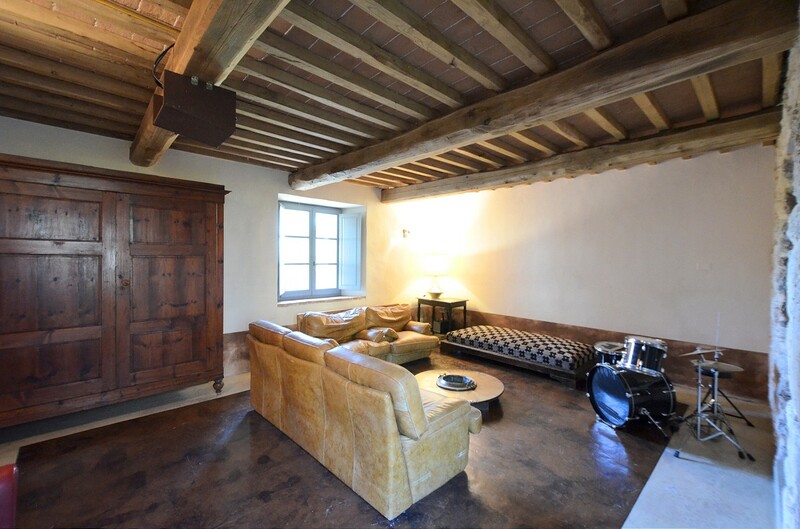 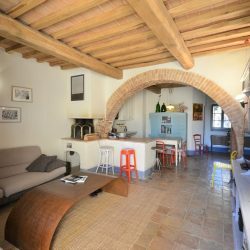 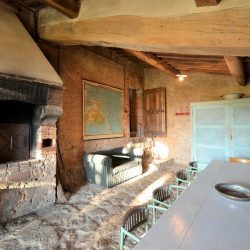 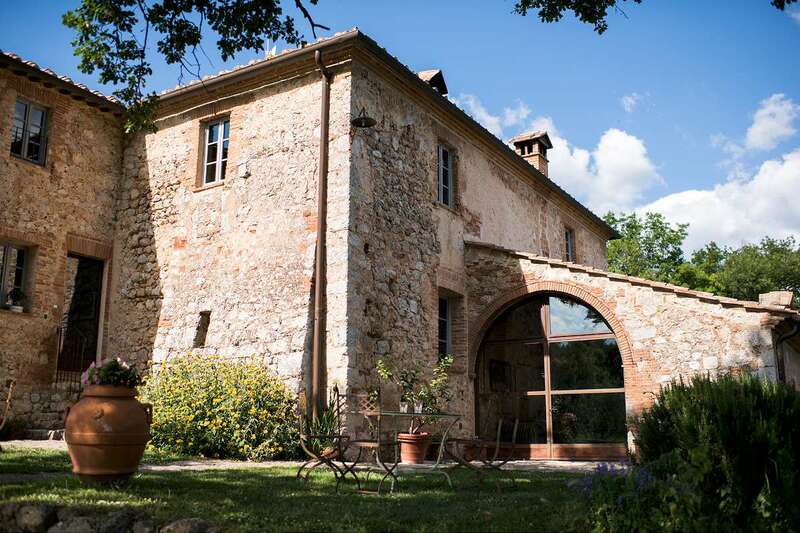 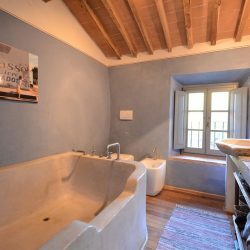 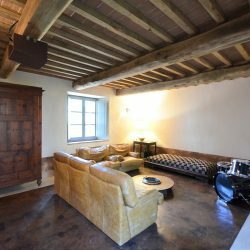 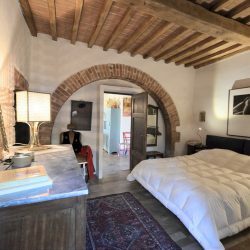 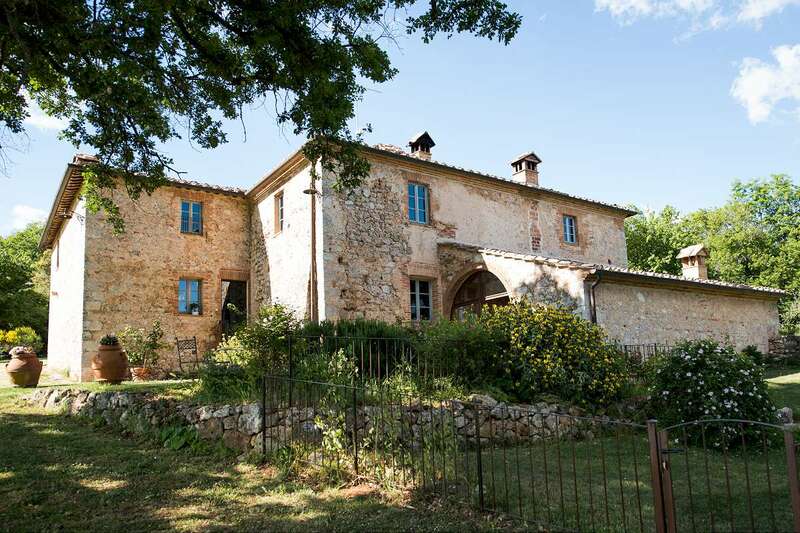 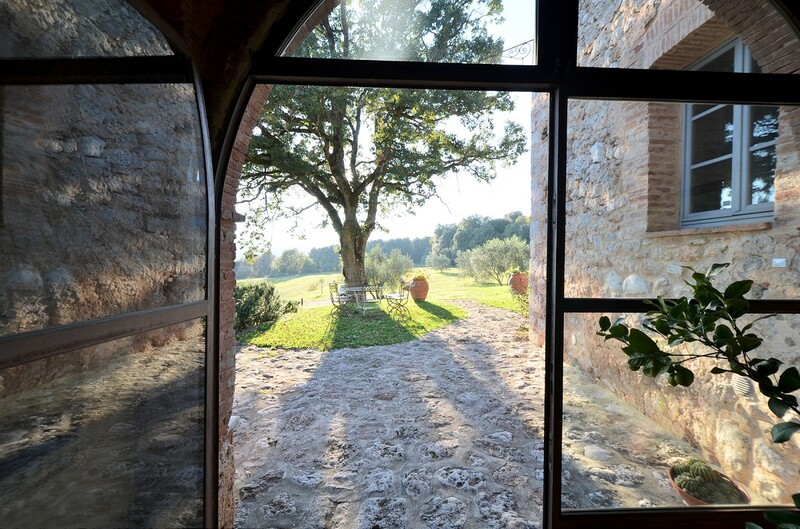 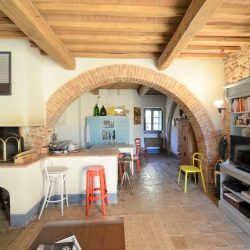 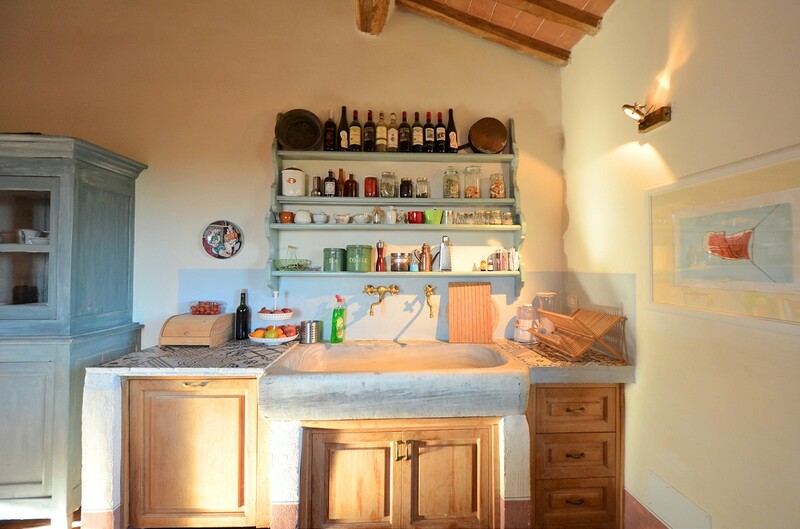 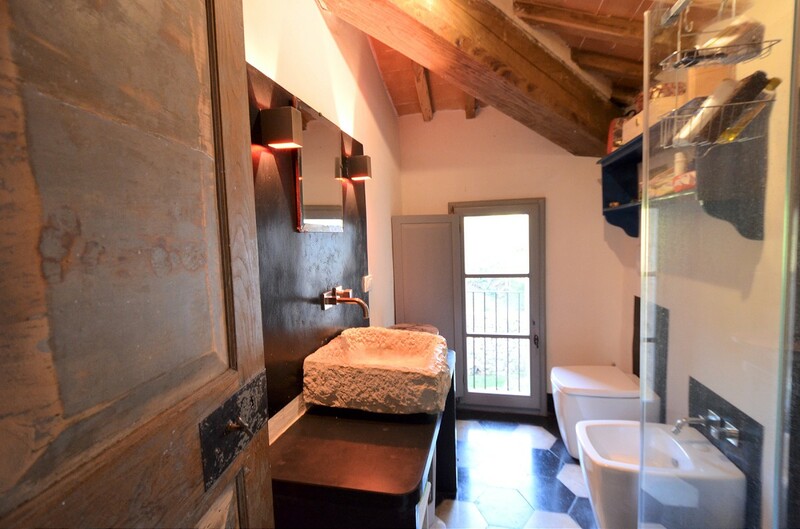 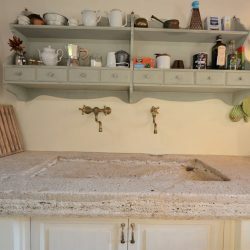 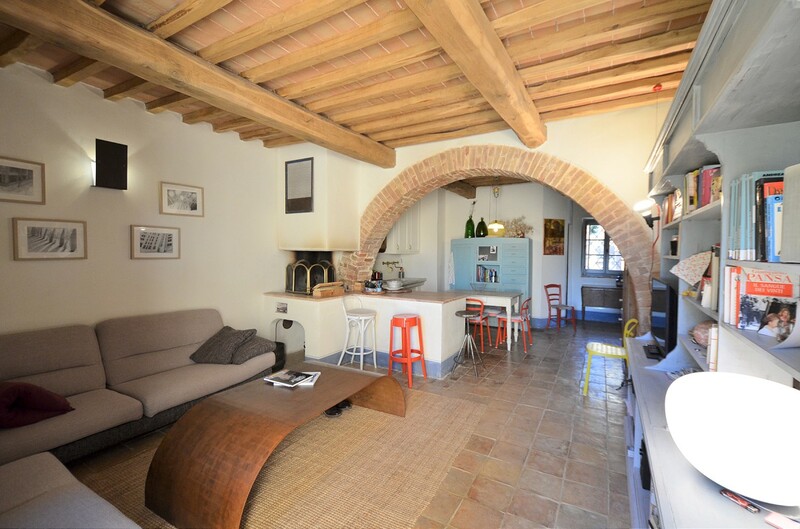 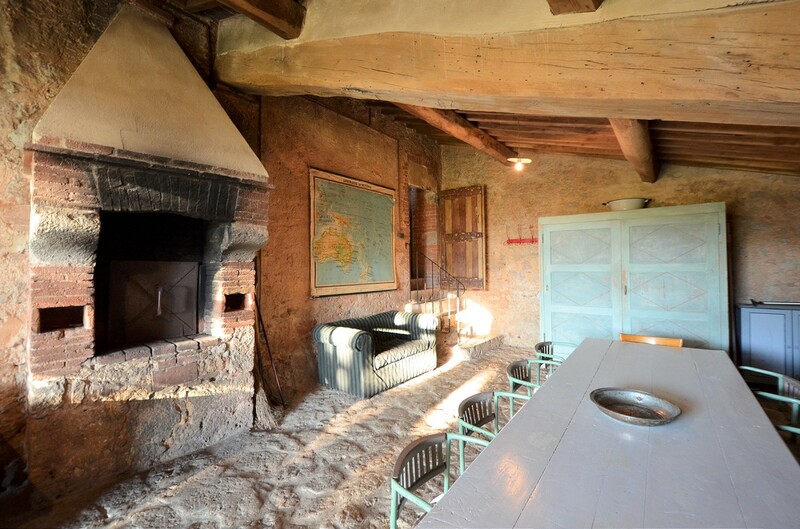 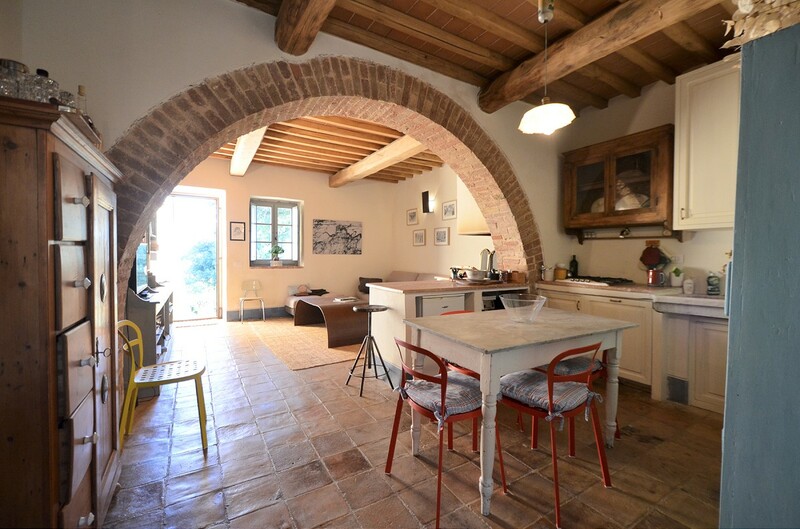 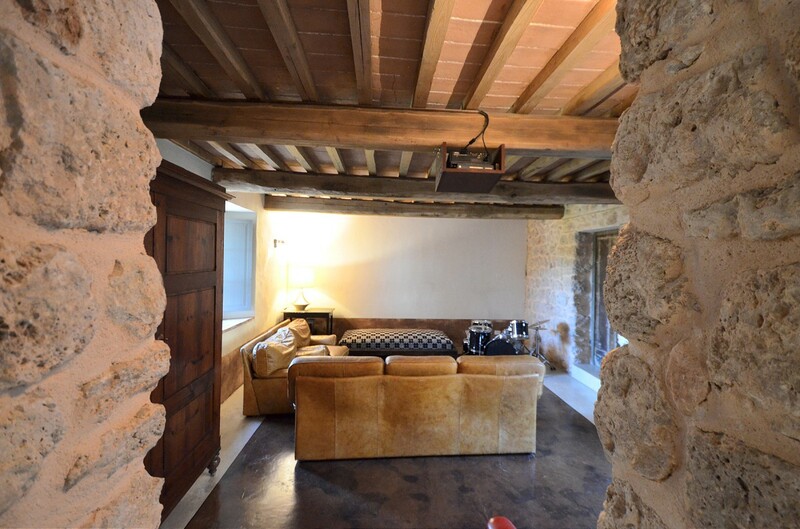 In excellent condition, carefully restored in keeping with Tuscan tradition, the interior of this beautiful home features exposed stonewalls, wooden beamed ceilings and a traditional wood burning oven. 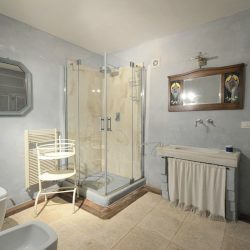 The main villa is divided into two independent living units. 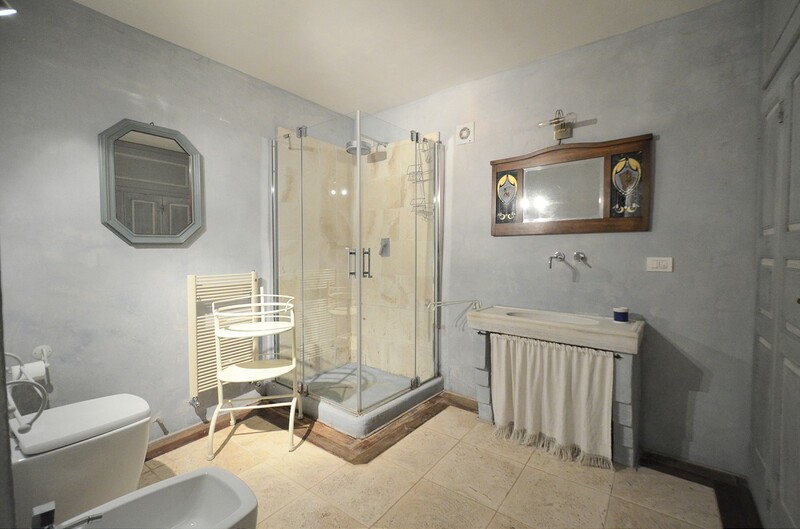 Unit 2: Living room, kitchen, bedroom and bathroom. 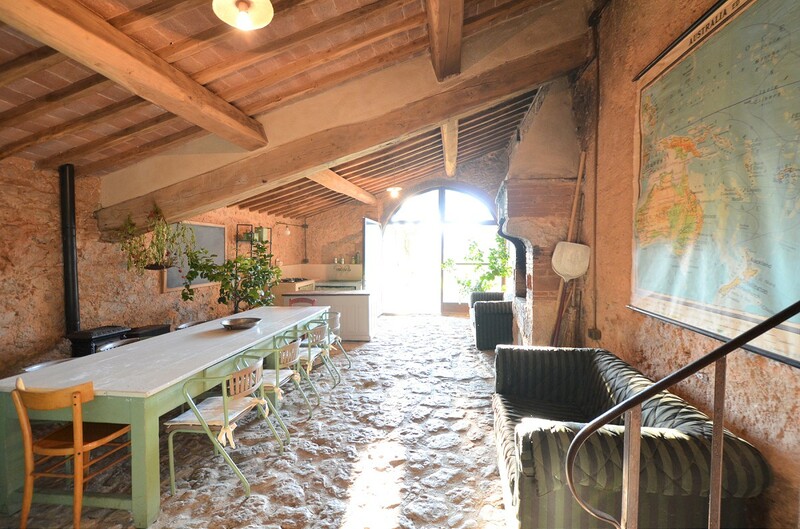 Independent of the main house on the other side of a courtyard and arranged on 2 floors. 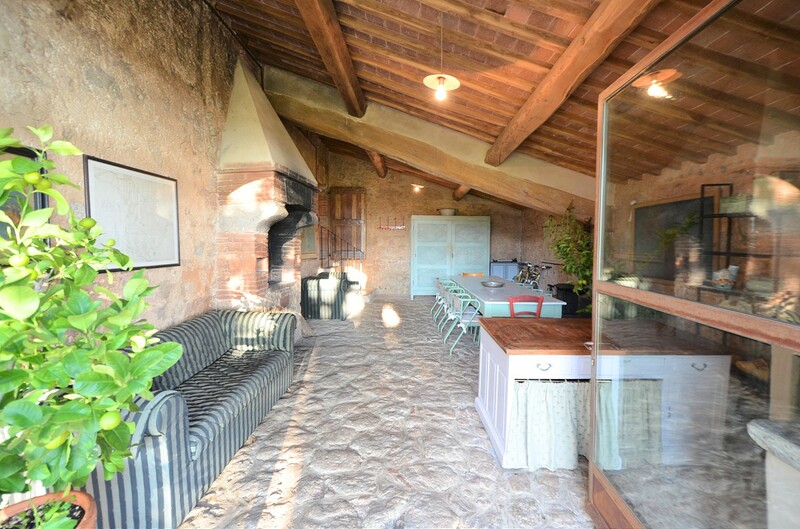 First floor: Open plan living and dining area, kitchen with fireplace, bathroom and service room, access to the garden and patio. 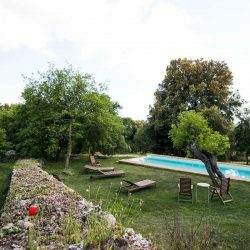 The property also includes 20 hectares of land, with 0.5 hectares being used for a well maintained garden with a BBQ area and swimming pool (12 x 6 m). 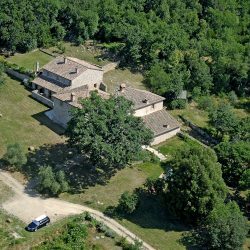 The rest of the land is used for woodland, olive groves, a vegetable garden and an orchard. 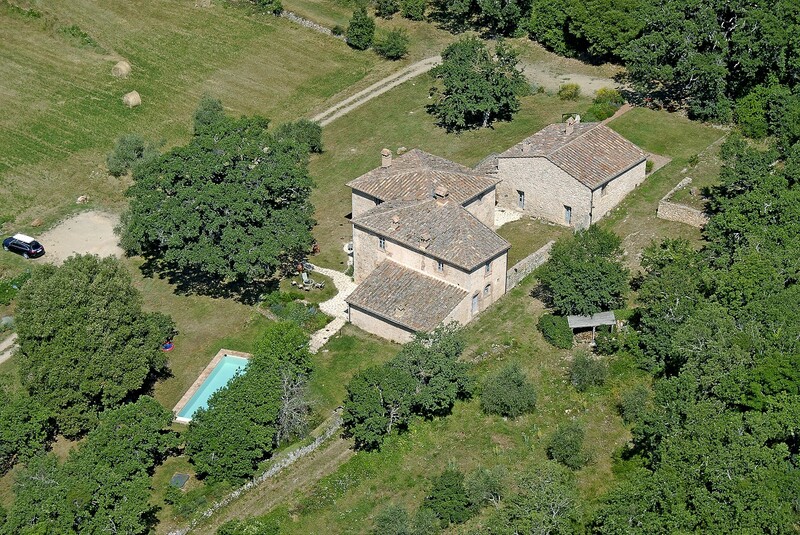 Siena 14km, San Gimignano 36km, Greve in Chianti 46km, Florence 66km.